You are dedicated to getting your body beach ready, but you can always use amazing tips and hacks to make sure you that your ultimate beach trip goes off without a hitch. Here's the thing... we all imagine hitting the sand, setting up our spot for the day, and not moving (except for a quick swim in the sea, of course). There's one major problem with that – you need to eat, you need the toilet, and you'll probably all want to do it together. Don't panic just yet, we have some amazing tips to help you on your way. This is a big one – while there are lockers on the beach in some areas, not everyone is lucky enough to grab one (or have the option to). So, it's up to you to keep your phone, cash, and keys safe (from opportunistic thieves and from being lost). You have a few options here. You can keep them rolled up in a nappy, which people will assume is a dirty one they don't want to touch, but... if you don't have children along that won't work. What can you do instead? There are plenty of solutions available – you can try leaving your stuff with a nearby beachgoer (ideally, those with families) or you can invest in a dry bag. When you head out for a swim, you can take all of your valuables with you. Just test the bag out before you use it – you don't want to find out it isn't completely water-proof. If you're still not sure, you can seal your things in a plastic bag within your dry bag for extra safety. Alternatively, avoid taking anything too valuable with you – your hotel room should have a safe, so store your things there. We love taking our phones and tablets to the beach, we need entertainment, right? There's one small (big) problem – not only can your devices get wet, but they can end up overheated and covered in sand. The perfect trip is to use a sandwich bag – the normal size will work perfectly for your phone, but you will need to invest in a larger one for your tablets. The best part of this little hack is that your touchscreen will still work just fine while your device is in the bag. There are two baby products that you can take advantage of on your beach trip. Baby oil and baby powder. Baby powder is the perfect solution for getting rid of sand – it ensures it slips off easily from feet, hands, and anywhere else it manages to creep into. Baby oil is the answer for stinging legs following a fresh shave. Saltwater and freshly shaved legs do not go well together, so after you shave, lather up in baby oil. Sand gets everywhere – and no one wants to eat or drink it. Cupcake liners are the perfect solution – they sit over your canned beverages easily, preventing any kicked up sand from making its way into your drink. You can also use them as mini-plates for snacks. If you plan to spend the entire day at the beach you're going to need to pack a lunch. You want to keep it safe from the heat, but you're on holiday so you probably won't want to buy a proper cooler. You can buy a disposable one and toss a bag of ice in it or you can fill water balloons with water and freeze them in your mini-fridge. The fun of the latter is the water balloon fight you can have at the beach once they've thawed. Just make sure you pick up all the balloon pieces so they don't make their way into the water (or into the mouths of birds hunting for snacks). 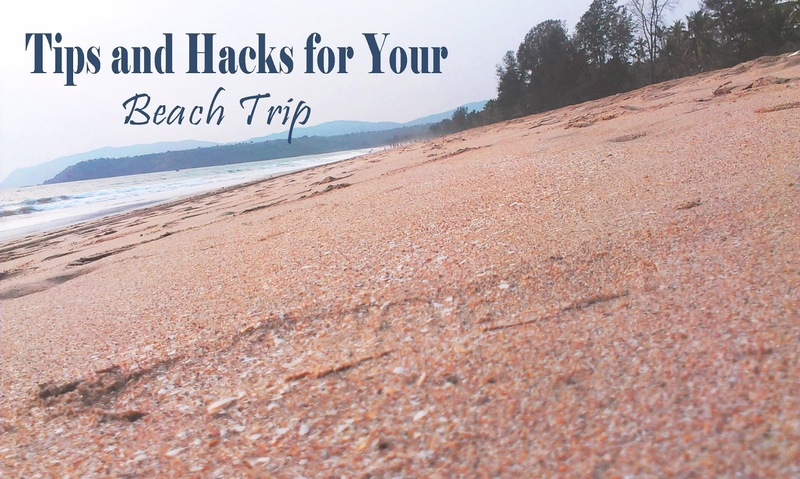 Your best bet is to find a spot on the beach that is closest to the public toilets or to go ahead and spend some money to sunbathe in a spot that is connected to a restaurant or bar. It means you have easy access to bathrooms and you'll very likely get the bonus of having full drink service right where you sit. An endless stream of cocktails and food is handy, too. You can pick a parasol up at a beachside shop fairly inexpensively, and it is well worth your time if you plan on spending a lot of time at the beach. It's going to prevent you from getting sunburned and it's going to provide you with much-needed relief from the heat, do not underestimate how hot it gets on the beach. It's your best friend, make sure you apply it every two hours (more if you're going swimming) and choose a product no less than SPF30. Don't forget to check out the incredible vouchers at Booking.com click here in order to unlock the gateway to your ultimate holiday. You're so right that is so important to consider! lovely post!